The Multi-Box Items feature allows you to set the number of packages required to ship a single item. 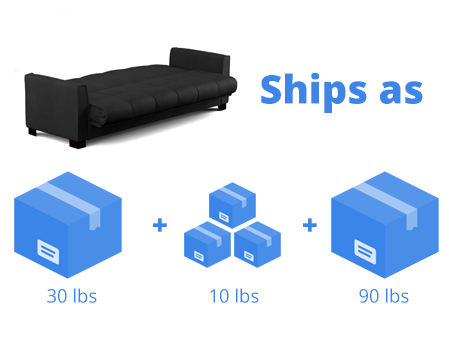 Some items such as large furniture require several packages. You will also have the ability to set the weights and dimensions for each of the packages (dimensions not mandatory). The Advanced Shipping Manager will calculate each of the packages separately, and and then add the total together.